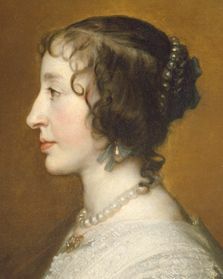 A detail from one of Sir Anthony Van Dyck's portraits of the elegant Henrietta Maria, Franco-Italian Queen Consort of Charles I of England, Scotland, and Ireland, aka King Charles the Martyr. Image from the website of The Royal Collection. To the best of my knowledge, royalty rarely knows its way around the kitchen. That being said, crowned heads have had an impact on how their countrymen dine. In 1655, for instance, a cookery book called The Queen’s Closet Opened was published, and it became a seventeenth-century best seller. Over the weekend I came across several of those recipes reproduced in The Delectable Past by Esther B. Aresty (Simon and Schuster, 1964), which I picked up at a local secondhand bookstore. Of course, I couldn’t resist trying them. Tonight, however, I didn’t have a great deal of time to prepare dinner so I opted for the simplest of the taste-tempting treats in The Queen’s Closet Opened, a dish Aresty called “worthy of notice”: Flounder with Mustard and Anchovies. Flounder with Mustard and Anchovies, though with one minor slight ingredient alteration, in a buttered pan, ready to go under the broiler. 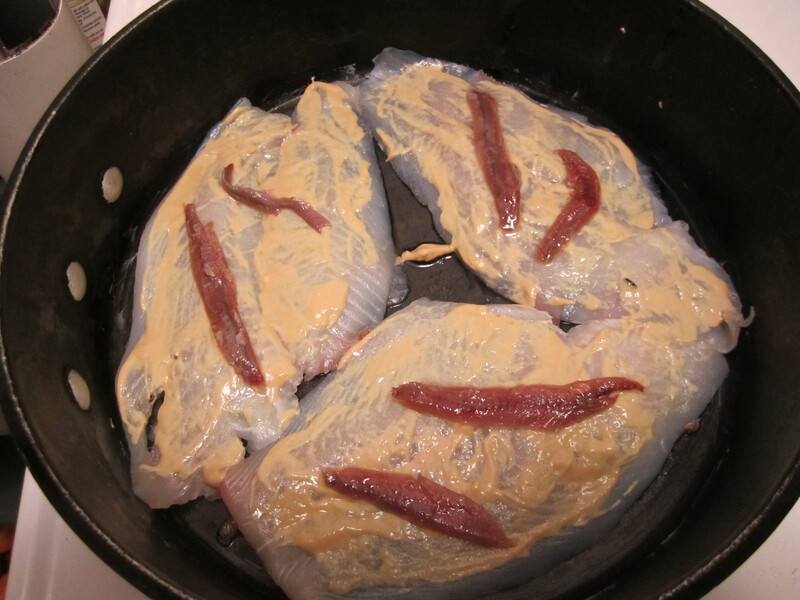 Arrange the fish, skin side down, in a buttered baking dish from which it can be served. Score the flesh side [with a sharp knife]; sprinkle it with dry mustard. Arrange several anchovy fillets on each piece of fish. Place under a pre-heated broiler and broil slowly, basting with the lemon-garlic-butter mixture until nicely done, 15 to 20 minutes, depending on the thickness of the fish. Garnish with lemon wedges and scoop up sauce from the baking dish as you serve each portion. 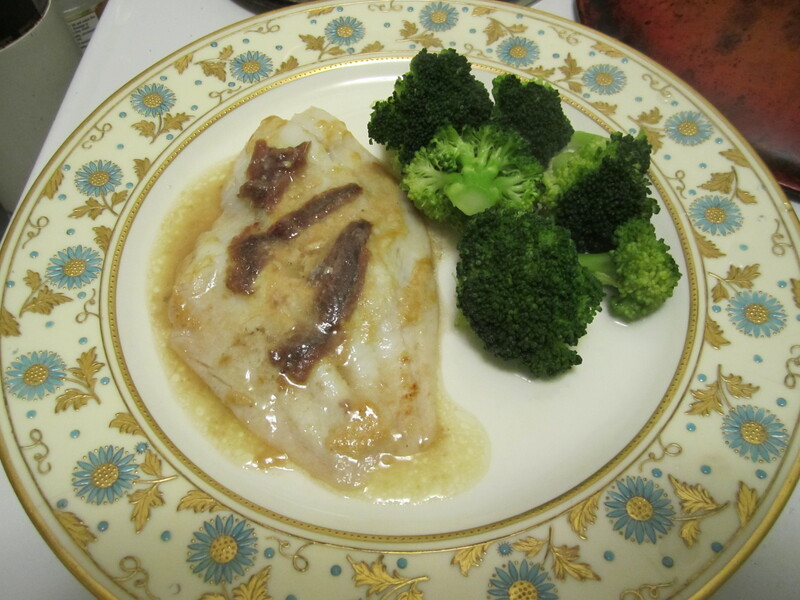 Queen Henrietta Maria's Flounder with Mustard and Anchovies, plated with broccoli, and on its way to the dining table.